Tensions between the Israeli government and Jewish leaders worldwide remain high, despite a move by Prime Minister Benjamin Netanyahu two weeks ago to shelve a controversial bill that would have made the Chief Rabbinate the only body authorized by the government to perform conversions in Israel. The crisis over the new conversion law broke out during the annual meeting of the Jewish Agency’s Board of Governors in Israel last month, at the same time as the government announced a freeze on the Western Wall agreement that was to create an egalitarian prayer space at the Kotel. While concerns about this bill or that prayer space are justified, they risk overshadowing the fundamental concern over the future of the Jewish people and the relationship between Jews in Israel and those living in the Diaspora. Some lawmakers have justified the proposed conversion bill, for example, by warning us against the infiltration of illegal aliens into Israel’s conversion courts. In the same breath, they stress that the status of conversions performed outside of Israel will not be harmed. True, the proposed change will not immediately affect the status of conversions performed abroad by Reform, Conservative or liberal Orthodox courts. Foreign converts at present are eligible to make aliyah based on the Law of Return. However, they cannot marry under the Chief Rabbinate in Israel, and this will most assuredly not change should the proposed bill become law. The argument that our religious courts are in danger of being overwhelmed by a deluge of foreign workers is absurd. Such xenophobic arguments tap into the fear shared by many Israelis that their cities will be overrun by asylum seekers. However, the conversion law has nothing to do with these people. The High Court of Justice has already ruled that a person illegally living in Israel cannot convert legally. The same ruling empowered the Ministry of the Interior to prevent the conversion of persons staying in Israel under a work permit. The real purpose of the conversion law is to stymie the progress that has been made recently by private conversion courts in Israel. The law’s proponents fear that such courts will compete effectively with the rabbinic courts, introducing a liberal conversion policy that will eventually become the norm. Worse, from the perspective of the framers of the bill, is the danger that rabbinic courts will find it increasingly difficult to remain viable once prospective converts understand that a more welcoming and lenient option exists. The Chief Rabbinate, which is controlled by ultra-Orthodox Jews, is less concerned by the stances of Reform and Conservative Jews than it is by the religious positions of Rabbi David Stav, founder and chairman of the Tzohar Rabbinical Association, which is more welcoming to secular Jews. It appears that all politics, even Jewish politics, is local. But those familiar with Israel’s political system and the country’s religious establishment must assume that should the conversion proposal pass into law, the Rabbinate will then push to gain authority over conversions performed abroad. Furthermore, it’s quite likely that after gaining a legal monopoly on conversions, ultra-Orthodox politicians will next demand additional monopolies in other areas of Israeli life. As such, most Israeli Jews and their brethren in the Diaspora are in the same boat. It is high time for Israel’s many different social groups — religious, traditional and secular — to join forces with Jewish communities in the Diaspora. We must capitalize on the current crisis to demand jointly a fundamental change in the relationship between religion and state in Israel. The current state, whereby a small minority determines for the rest of us how religious services will be conducted, what the Jewish character of the state is and who enters its gates, cannot continue. When it comes to questions of war and peace, it should be up to Israelis to determine their own fate, since they will bear the consequences. However, so long as Israel defines itself as the nation-state of the Jewish people, as it should, it must allow Diaspora Jews to take part in the crucial debate on shared questions of identity and faith. The fact is that the non-Orthodox streams of Judaism, whose communities are growing in Israel, have long constituted the majority of the Jewish people outside of Israel. Were they to make their voices heard, much would change. Currently, the right hand of the Israeli government is formulating a bill whose purpose is to redefine Israel as the nation-state of the Jewish people. It’s a pity that at the same time, this government’s left hand is working to divide the Jewish people and weaken the Jewish character of the state. A government that truly cared about nurturing Israel’s role as a nation-state of the Jewish people would develop a formula to allow the various streams and interpretations of Judaism to live peacefully under one national roof. A true Jewish nation-state would provide equal funding to every Jewish denomination active in Israel. A true Jewish nation-state would act to heal the rifts within the Jewish people and strengthen Israel’s status around the world as a vital democracy represented by millions of committed ambassadors in the Diaspora who are proud to take part in the fulfillment of the Zionist dream — even if they do not live here. Yohanan Plesner is the president of the Israel Democracy Institute. This story "Diaspora Jews Deserve A Seat At Israel’s Table" was written by Yohanan Plesner. 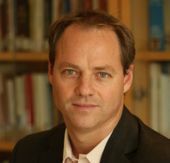 Yohanan Plesner is the president of the Israel Democracy Institute and a former Member of the Knesset.